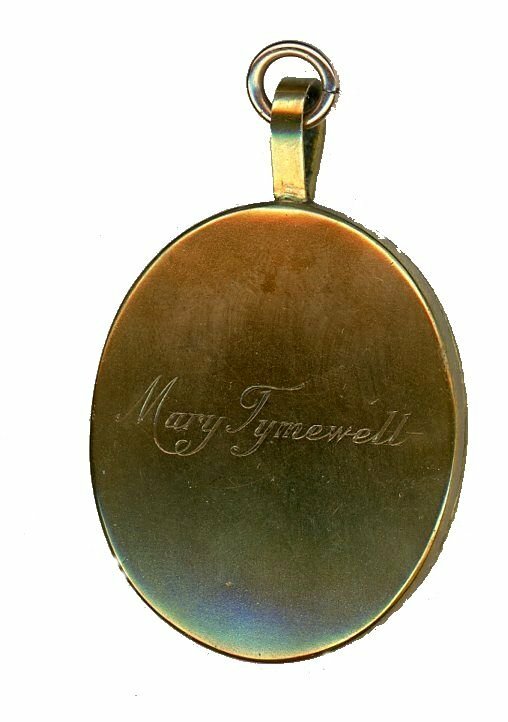 This is a well-captured portrait of a finely featured young lady named Mary Tymewell Blake. Mary is wearing a décolleté dress in grey and white stripes with a white fill-edged underslip and a black ribbon necklace tied at the front. Her powdered hair is arranged in the fashion of the day, the height usually being achieved through the use of false pads stuffed with horsehair. 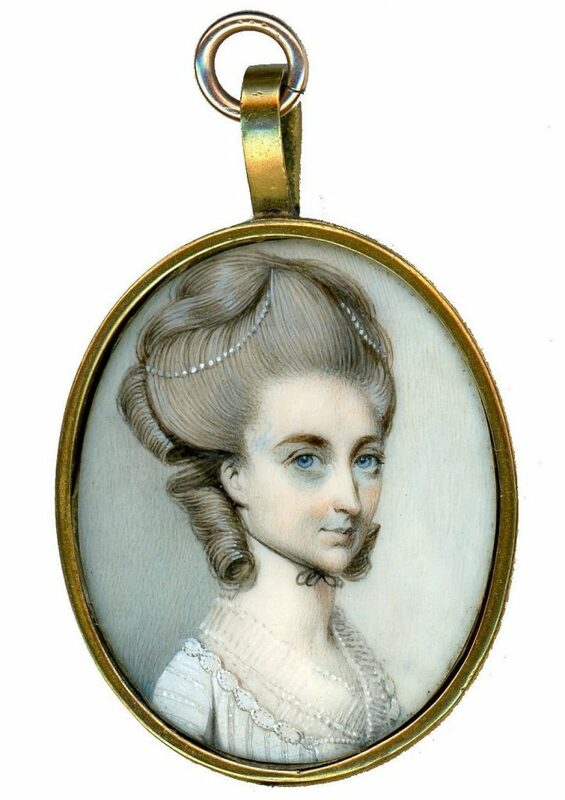 Her hair is decorated with ropes of pearls with stiff curls on the nape of her neck. Born in December 1757, Mary Tymewell Blake was the youngest daughter of Captain John Blake of Parliament Street, Westminster. In 1792 the Gentleman’s Magazine announced her marriage to Captain George Anson Nutt (his portrait is also available) of Wellbourne, Warwickshire as his second wife. ‘Miss Blake’ is listed in Engleheart’s fee book as having sat for her portrait in 1778. 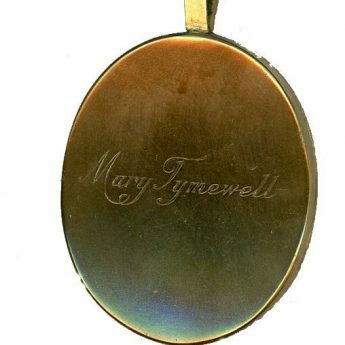 The miniature is housed in a later gilt metal frame that has been incorrectly engraved on the reverse ‘Mary Tymewell”. 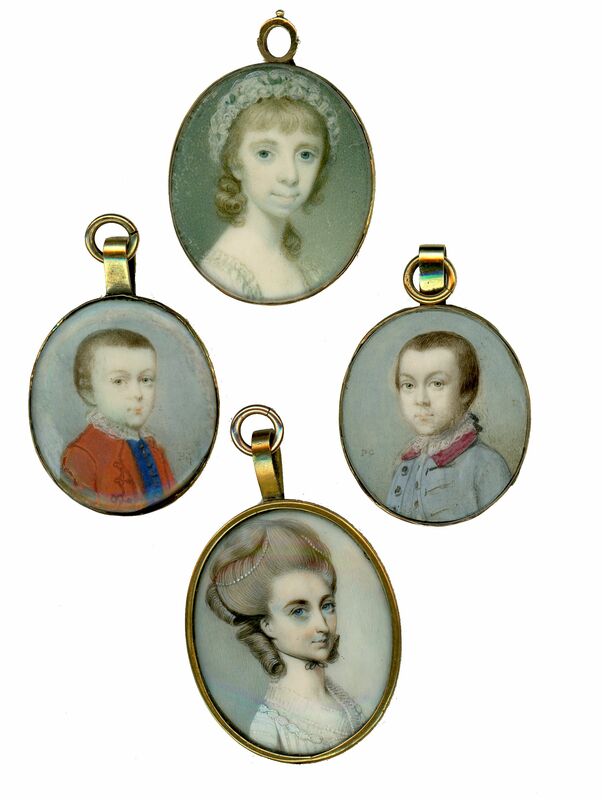 George Engleheart (1750-1829) is revered as one of the most talented miniaturists working in Georgian England. 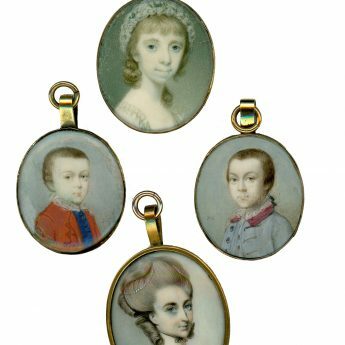 He kept meticulous records of his work that show that he painted close to 5,000 miniature portraits during his career.